Eurasian watermilfoil (Myriophyllum spicatum) is a submersed aquatic invasive plant native to Europe, Asia, and Northern Africa. It was first reported in North America in 1942 and has since spread to 45 states and 3 Canadian provinces. 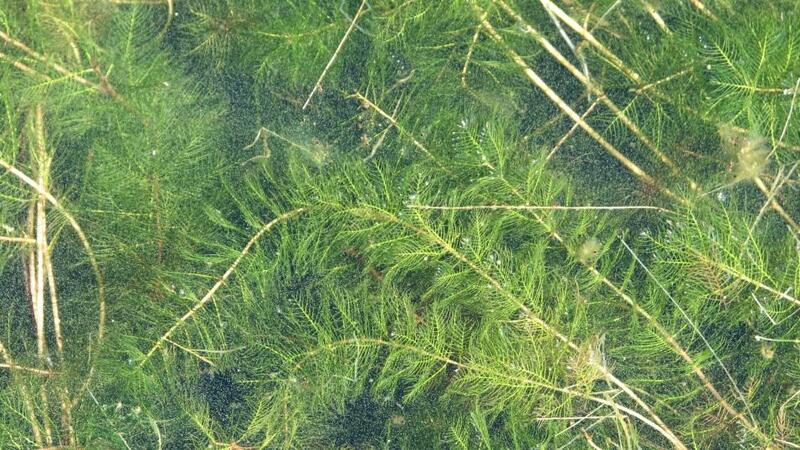 Eurasian watermilfoil is a very invasive aquatic plant in Washington State. 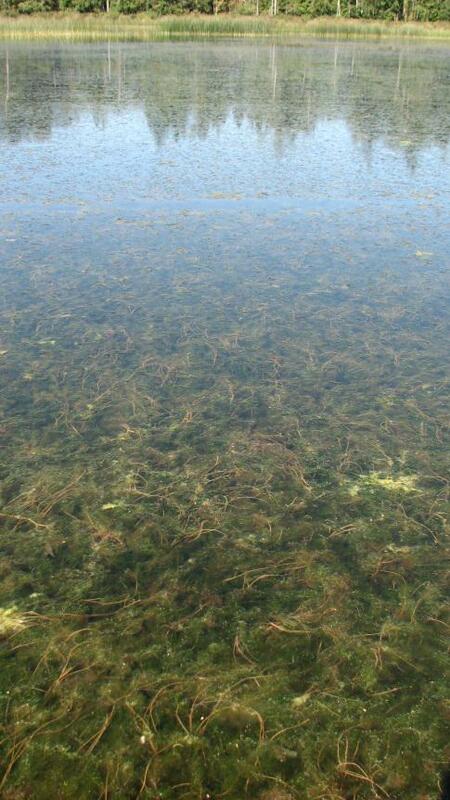 It is not always easy to identify because there are many different species of milfoil known here. 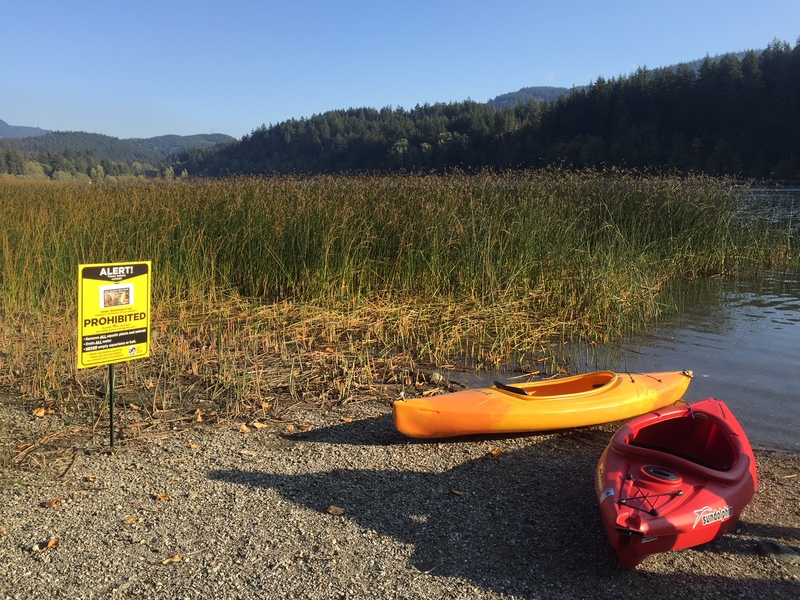 Eurasian watermilfoil has been present in Lake Whatcom since the early 1970s and is found in scattered patches, mostly below the water surface, throughout the lake. 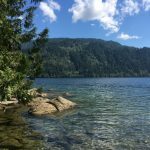 It was the only lake found in Whatcom County with Eurasian watermilfoil until 2013, when the plant was also discovered in dense canopy covering the surface of Lake Terrell. A fingernail-sized piece of Eurasian watermilfoil is all it takes to start a milfoil problem in another lake, but like other submersed aquatic plants they are unable to spread on land and can dry and decompose quickly. Eurasian watermilfoil has feather-like leaves and can reproduce rapidly, forming dense mats along the surface of the water. This results in reduced light and can have negative impacts on native plant populations and water quality. Cleaning off any plants, including milfoil, from watercraft and gear is important not only to prevent these plants from spreading but also because other organisms could be attached to the plants. 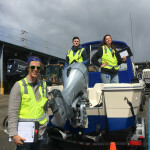 In Washington State, traveling with aquatic plants on your equipment, boat or trailer on any public roadways is a misdemeanor (RCW 77.15.290). 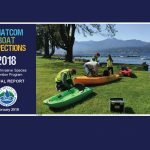 All plants and fragments should be removed as part of your boat and equipment cleaning practices whenever you leave a waterbody and be disposed of on site in a dry-land location away from the water.